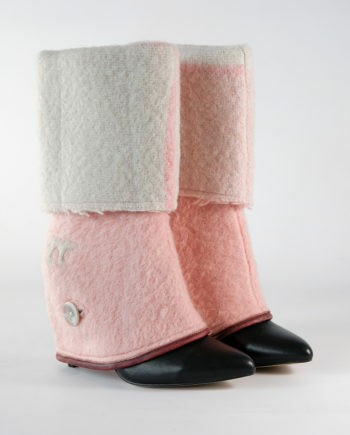 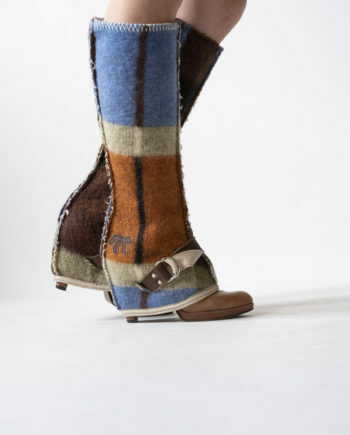 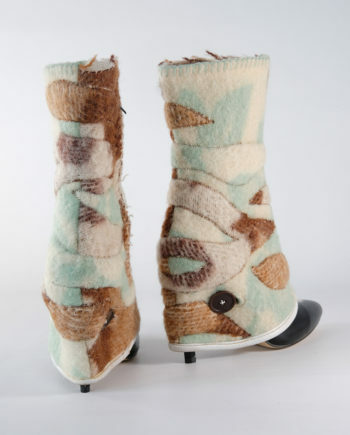 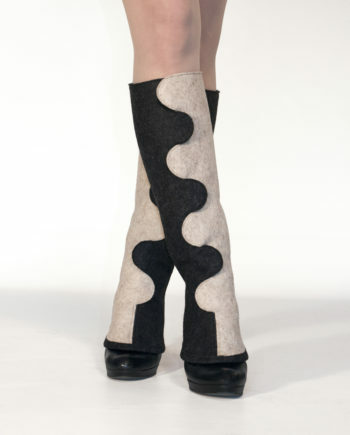 An over-the-knee accessory designed for high or medium high heels. 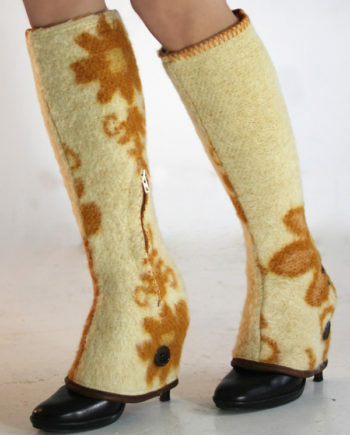 Available in different calf- and upper leg sizes or made to measure. 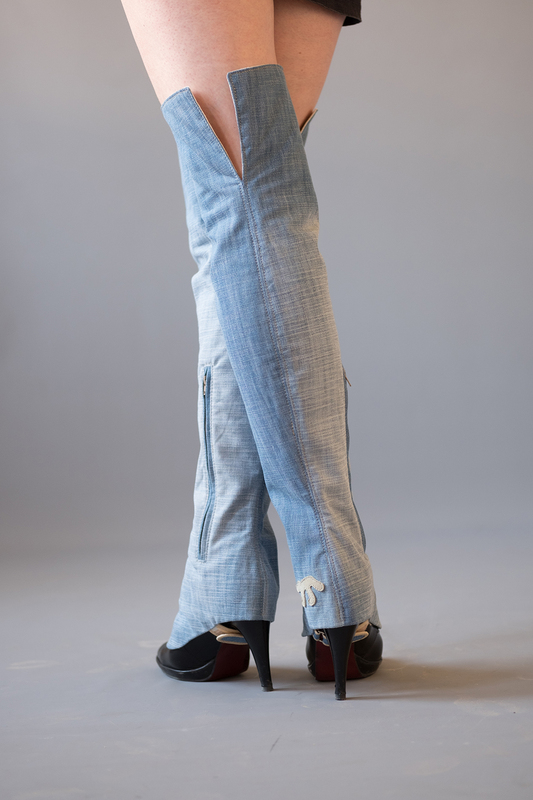 A unique example made from a recycled jean with a cotton lining. 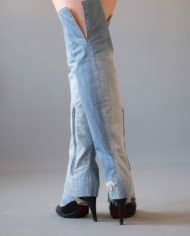 Perfect to combine with a summer outfit. 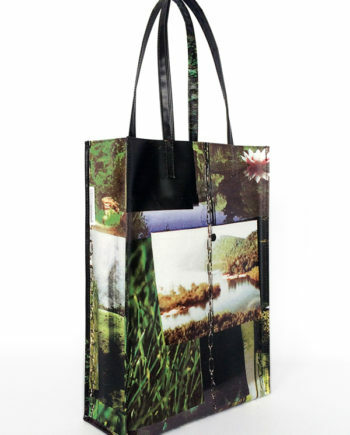 Click twice on the images for a full-size and detailed view. 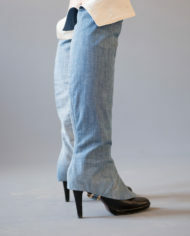 Jean Jane is an overknee accessory designed for high heels from recycled jeans. 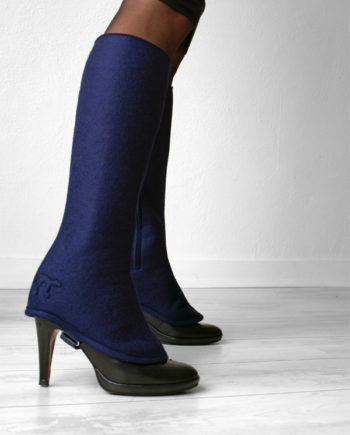 The gaiters have a perfect fit and therefore stay up naturally with the feel and look of the fabric. 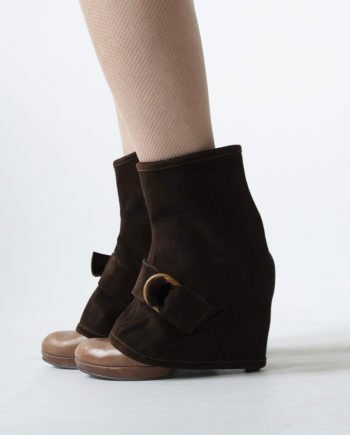 Just like the knee-high model of Jane it has a zipper closure on the inner side of the leg. 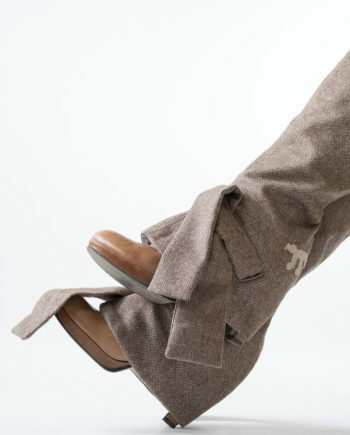 To attache the gaiter to the shoe a strap goes underneath the sole. 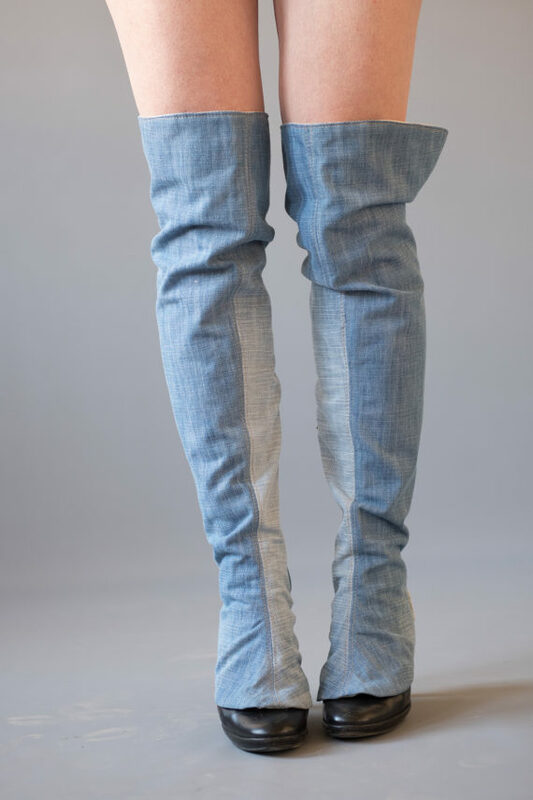 The overknee Jean Jane has a cotton lining inside. 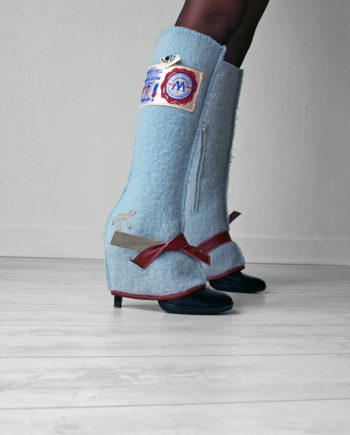 This example in the picture is unique and made in calf size 37 / heel height 7-10 cm. 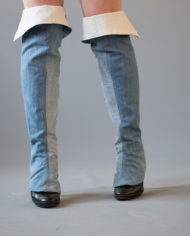 Besides the available calve- and upper-leg-sizes you can also choose the made to measure option from the menu. 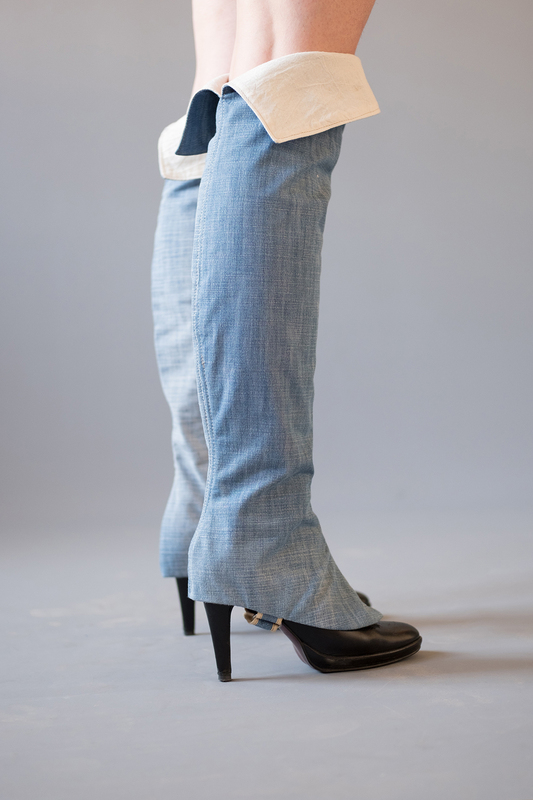 You can opt in for low or medium high heels. 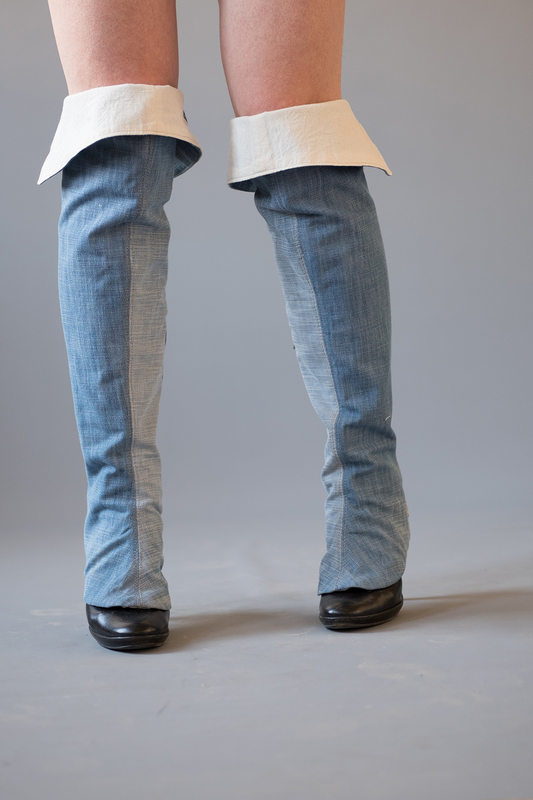 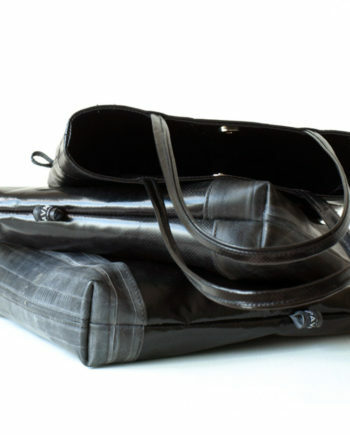 The colour and structure of the fabric can vary since they are all made out of recycled jeans.